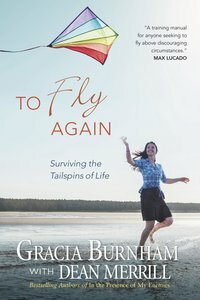 Gracia Burnham is an award-winning author, the widow of Martin Burnham, and the mother of three. She and her husband worked as New Tribes missionaries to the Philippines from 1986 to May 2001. Until their capture, Martin was a missionary pilot, delivering mail, supplies and encouragement to other missionaries and transporting sick and injured patients to medical facilities. Gracia assisted in a variety of roles supporting the aviation program in the Philippines. Gracia resides in Rose Hill, Kansas with her three children. Dean Merrill has been published in over 40 Christian magazines and is the author or co-author of 35 books.